Lena Liu's Personal Checks feature tranquil landscapes, beautiful hummingbirds and breathtaking floral still lifes. Each check design creates in viewers a feeling of awe and inspiration. She says, "I strive to create a sense of romance, poetry and music in my painting. I let what touches my heart pass through my fingers." Her Enchanted Wings Butterfly Personal Checks are soft florals with a variety of butterfly species, in a lovely romantic style. Eye catching images are stunning and inspirational. Lena Liu's painting style uses soft pastels and delicate flower gardens as well as detail oriented renditions of butterfly wings. The intricate patterns in the wings of butterflies add to the scenes where soft hues add to their appeal. People all over the world have appreciation for her collectible items. With her artwork on personal checks, you won't have to pay a fortune to enjoy just a sampling of her paintings. Value Checks showcases some of Lena Liu's most beautiful and delicate gossamer-winged butterflies as they hover over floral gardens. Each lush floral bloom provides a backdrop for the butterflies' fleeting and flickering dance. Lena Liu's Butterfly Gardens Personal Checks is a collection of four scenes of floral gardens and butterflies. Lush with a variety of garden blooms from daffodils, hyacinths, tulips, and roses to irises and delphiniums, the flowers provide a soft landings for the hovering butterflies. Colorful flowers you can almost smell abound in this check collection. Lena Liu's checks not only remind us of the beauty of nature, but they are practical too. Expertly created on top quality check printing machines make the images stand out from competitors. 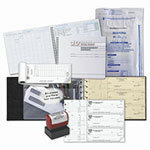 Cheap checks can be ordered easily and have the lowest prices available. Compare them to buying your checks at your local bank and you'll be saving a lot and getting a great value. Order checks online today.